The federal agency has added TTUHSC El Paso's ACCION (Against Colorectal Cancer in Our Neighborhoods) program to its database of Research-Tested Intervention Programs, making ACCION instructional and educational materials available to public health practitioners across the world. Unfortunately, many at-risk people don't have easy access to colorectal cancer screenings. Poverty, lack of health insurance, lack of transportation, and low levels of health education are some of the barriers that prevent adults from receiving screenings. The beginning recommended age for colorectal cancer screenings is 50. "If you get screened and you get the appropriate follow-up, you really do prevent cancer," Shokar said. "You find it early and the outcome is a lot better." The program uses promotoras–bilingual community health care workers–to connect with at-risk individuals. ACCION currently works with over 160 community organizations to help make screening more accessible. "People have big transportation barriers," Dr. Shokar said. "They don't have access to cars, or the person with the transport is working and they only have one car. It's very important that this program go to the community where people live, work and play, and that's what we try to do." The success of the program has led to additional CPRIT funding. 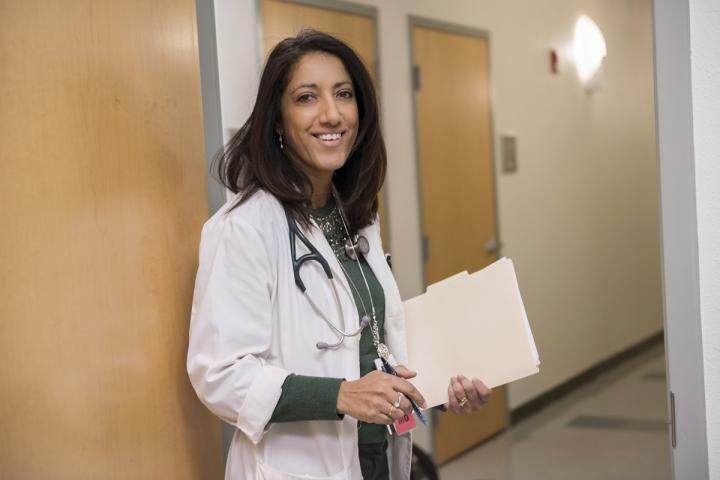 In August 2017, CPRIT awarded Dr. Shokar a three-year, $3.7 million grant to implement ACCION in major hospital and clinic systems throughout El Paso County. The grant will also be used to expand the program into West Texas; ACCION's service area will now cover a 25-county area by partnering with service providers in those areas. And now, thanks to the National Cancer Institute, the methods and materials behind the ACCION's success can reach across the globe. Learn more about ACCION and download program materials from the NCI's RTIPs website.